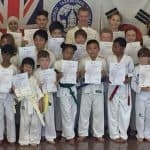 DAN Taekwondo School Grading, Saturday 27th May 2017. Another very successful grading! Well done to all of the candidates, you all were fantastic! 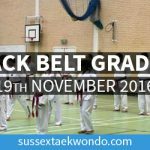 We look forward to seeing you all again in your new belts after the Half-Term break. Classes return on Tuesday 6th June.